Melbourne Airport in Victoria, Australia, looks set to be the site of a major medical cannabis cultivation and processing facility. Yesterday, Cann Group Limited (ASX: CAN) announcing the signing of a heads of agreement* with Australia Pacific Airports (Melbourne) Pty Ltd (APAM) that has secured a 5 hectare site at the airport for the company’s Stage 3 medicinal cannabis cultivation and GMP manufacturing facility. The facility will cover much of the site, approximately 37,000m2, and is being designed by Aurora Larssen Projects (ALPS). Cann says APAM will fund and undertake the primary build. “APAM’s contribution to the construction of these facilities will enable Cann to invest additional capital in increased cultivation capacity; expanded development and production capabilities, while also allowing for further future expansion,” said Cann Group CEO Peter Crock. APAM views Cann as a “high quality tenant” that will help to connect Victoria’s technology industry to the rest of the world. Being situated at an airport gives Cann a prime position for servicing overseas markets, while keeping down the costs and complexity associated with shipping products of this nature. 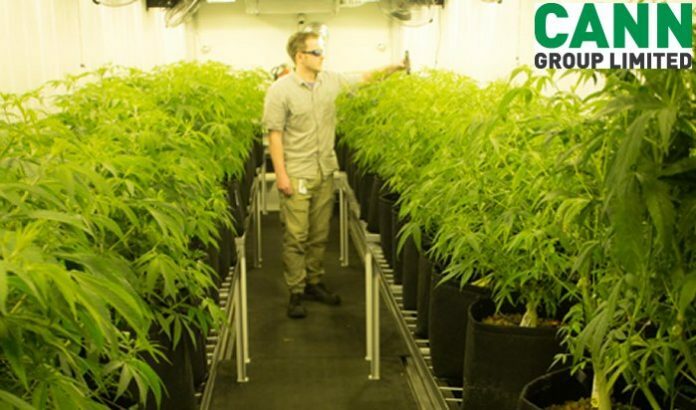 Cann received the first Australian research and cannabis cultivation licences issued by the Australian Government’s Office of Drug Control in 2017, and the first commercial permit for cultivation of medical cannabis in Victoria. Earlier this month, the company announced the expansion of its research and development operations with La Trobe University after the signing of a memorandum of understanding (MOU) that will boost Cann’s capabilities across plants genetics, breeding and cultivation. It also said tissue culture varieties from its Canadian partners Aurora Cannabis and Anandia Labs had arrived in the country and it had taken delivery of the first of four cannabis oil products developed by Aurora, which will be made available to Australian patients seeking access to cannabis medicines via Australia’s Special Access or Authorised Prescriber Scheme. Aurora Cannabis is Cann Group’s largest shareholder, with a 19.9% stake in the company at the time of publishing. In May, rumours were circulating Cann may be a takeover target of Aurora Cannabis. *A heads of agreement is basically an agreement about an agreement.